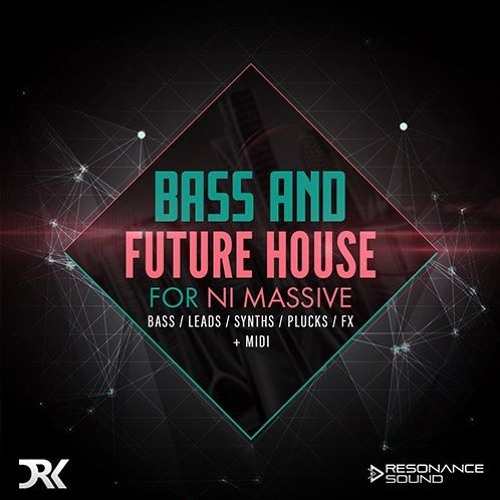 http://www.resonance-sound.com/product/bass-future-house-for-massive/ Deep House is still the chart dominating genre this summer. Divided into its subgenres Future House and Bass House, producers like Oliver Heldens, Jauz, Quintino, Don Diablo, Firebeatz and Tchami had and still have enormous sucess with these new EDM styles. They have been the inspiration for creating this fresh pack of 64 bass & future house presets for the Massive monster. Get your fingertips on crispy basses, aggressive bass house wobbles, the famous garage growls, melodic synths and plucks. Each preset has all 8 macros assigned, which will give you maximal control and let you create completly new sounds solely by touching a few knobs. Heavy duty Massive. Liking it.